Tim Hortons wants to transport “the best of Canada” to China with its aggressive expansion plan, but with many players already jockeying for a bigger share of the Chinese coffee market, the Canadian coffee-and-doughnut chain may be facing its most challenging global expansion yet. The Oakville, Ont.-based company said in July it will partner with Cartesian Capital Group in a joint venture that aims to open 1,500 Tim Hortons restaurants in China over the next decade. The expansion into the world’s second-largest economy is part of a global strategy that has seen Tim Hortons open more than 4,700 restaurants around the world, entering Spain, Philippines, the U.K. and Mexico last year. In China, Tim Hortons faces more than just the challenge of catering its food and beverages to different consumer tastes than in North America, according to Benjamin Cavender, principal with Shanghai-based China Market Research Group. “They have this very, very aggressive store expansion plan, but I think companies tend to underestimate how expensive it is to get high-quality real estate, high-quality locations here,” Cavender said. The Canadian chain will also need to understand early on the importance of delivery services and digital interaction with Chinese consumers, especially on the app WeChat. But Tim Hortons’ biggest challenge is that it’s making its foray into an ultra-competitive coffee market where global players have already established a foothold for years. “It’s a new brand in the marketplace and [Chinese] consumers have very little understanding of what Tim Hortons stands for unless they’ve spent time in Canada or parts of U.S. where they have operations,” Cavender said. With 3,400 stores in more than 140 cities – and plans to nearly double that by 2022 – Starbucks is China’s dominant coffee player by far right now. Cavender estimates that the Seattle-based coffee chain has between 65 to 75 per cent of the Chinese market to itself. Faced with competition from local upstart Luckin Coffee, Starbucks also announced this week it’s joined forces with Chinese tech giant Alibaba to begin delivering its drinks and baked goods in China. Beijing-based startup Luckin has shaken up China’s coffee market, opening more than 500 outlets across the country after launching just 10 months ago. 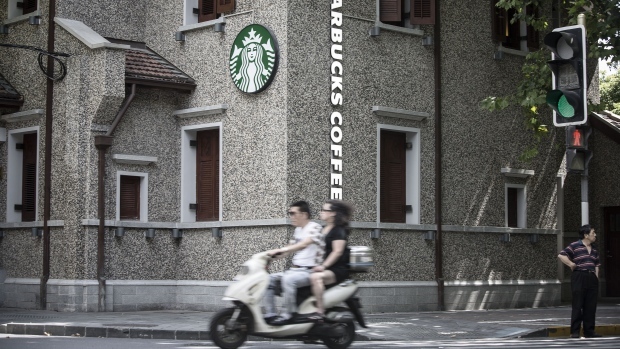 Luckin’s co-founder Guo Jinyi has been vocal about the company’s aim to surpass Starbucks, and in May, the company accused its U.S. rival of monopolistic practices by signing exclusive rental contracts and pressuring suppliers. Acting more like a technology company, Luckin’s business model revolves not only around discounts – but more importantly, its smartphone app for orders and payments, as well as its delivery service. The U.S. fast-food chain’s McCafe brand is another competitor that Tim Hortons can’t run away from. 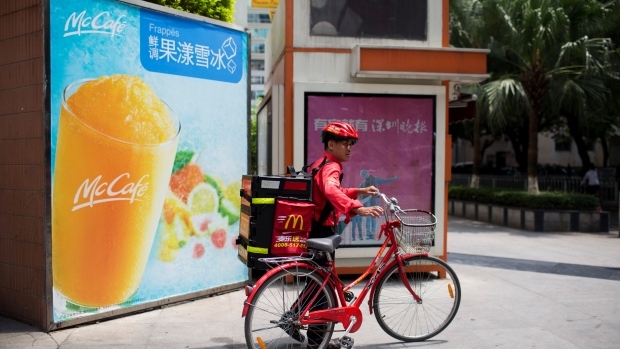 With 2,500 McDonald’s outlets across China – and plans to increase that number to 4,500 by the end of 2022 – the chain has been delivering its food and drinks for years, and has said it’s focused on bringing a more digital, personalized dining experience to Chinese customers. Similar to how it operates in North America, the McCafe brand in China is either built in-store or directly next to regular McDonald’s stores. The world’s second-largest coffee chain Costa Coffee currently has more than 450 outlets across China. 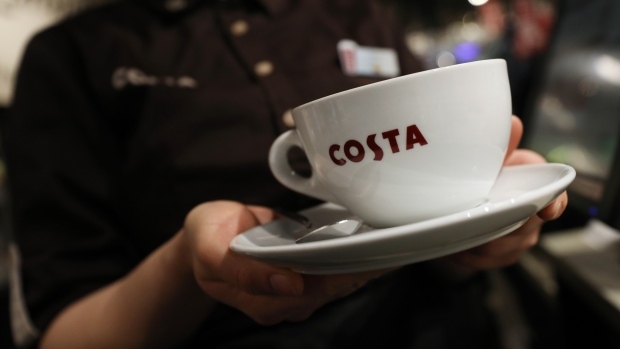 With sales faltering at home in the United Kingdom, China has become an increasingly important market for Costa and it plans to ramp up its expansion there. For Costa, it’s main differentiator has been its ability to tap into Chinese consumers’ growing love for coffeehouse culture. “Costa has tried to focus on nicer seating and interior spaces to enjoy,” Cavender said. For Tim Hortons, Dunkin’ Donuts’ China expansion is a lesson in what not to do, according to Cavender. 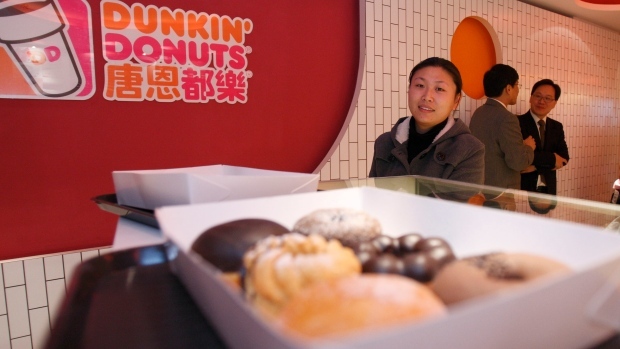 The American doughnut-and-coffee company – which currently has 37 outlets in China – failed in two previous attempts to crack the market, which resulted in shuttering outlets. For Tim Hortons to avoid Dunkin’ Donuts’ struggles, Cavender said it will need to test their offerings thoroughly in China. “That doesn’t just mean offering stereotypical green tea beverages or cakes, it means really testing the products they have to make sure consumers actually like them,” he said.